Year 13 Health students Raksha Tiwari, Anjila Reddy and Charlie Speight spoke very well at a cochlear implant forum involving scientists, industry professionals, ACC and The Pindrop Foundation last Saturday at Auckland University. The Pindrop Foundation invited our students to talk at the forum about how important prevention of hearing loss is and to explain a bit about the 'Listen Up' programme. This invitation came about because each year our Year 12 Health Students do a health promotion project called 'Listen Up' with The Pindrop Foundation. Our students go to local primary schools to teach children about noise induced hearing loss and how to keep their ears safe when listening to iPods and being in noisy environments like concerts and motor racing events. Raksha, Anjila and Charlie presented very professionally in front of so many people and learned some very valuable skills about public speaking and effective communication. During their presentation there were people at the front of the lecture theatre translating what they were saying into sign language and also people typing what they were saying on to a large projector screen. They listened to many other people speak, including scientists talking about the latest technology and people who had received cochlear implants telling very moving stories about hearing for the first time or having their hearing restored after an accident. The Year 12 Health students will be involved in this project again this year. The Technology Faculty is getting ready for ANZAC Day and staff and students have got themselves involved with the Peace Poppy Project. Cristina Beth who organises it came into school to talk to the Year 10 students last Friday and showed them how to make the poppies. Here are some photos. Students are going to make them this week (at least 500) and plant them on 20th April. They stay planted until after 25th April and then the students can give them away. For more information visit..
On Saturday 18 students from Year 12/13 left to go to Germany for almost 4 weeks. Teachers Lorraine Delgrosso and Heike Zimmer are travelling with the students on a trip which marks the 10th anniversary of our school exchange with the Ernst-Haeckel-Gymnasium in Werder. Here is a link to the blog which contains the programme and more information on what the college students will be doing there during the visit. On Wednesday 25 March the ANDREA LISA BAND performed for over 100 students. The band has recently returned from an overseas tour and played an exceptional set of Jazz/Soul/RnB tunes, impressing the students with their musicality and professionalism. After the concert the band members tutored the Lynfield College Jazz Combo in preparation for the National Jazz Festival to be held on April 4 in Tauranga. Dragon boating involves 80 students - more than any other summer sport! Our 4 crews of 20 paddlers have been training hard for the past 6 weeks at Westhaven, with our boys team training 2 hours/week and the other 3 crews 1 hour/week. The Lynfield team descended on Lake Pupuke on Sunday 22 March for a day of fun and rivalry in the Auckland Secondary Schools Dragon Boat Championships. Arriving at school at 6.15am didn’t seem to dampen any enthusiasm; in fact everyone seemed pumped and ready to put their best paddle forward from the moment we arrived at the lake. This regatta has an atmosphere like no other school sports event and it was great to see so many of our paddlers’ families enjoying the atmosphere. 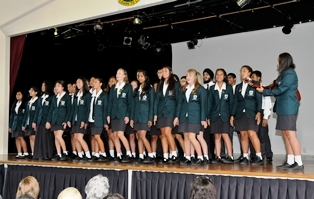 There were 32 teams from a wide variety of schools throughout Auckland. Unlike most other schools, our crews were composed of Year 9 – 13 students. Congratulations to all 4 teams who paddled to the max! At the end of the pool rounds the boys were 1second behind the fastest crew but unfortunately their sweep lost control twice in the final costing them several seconds. They paddled extremely well to make up time and finish a very creditable 3rd. Such a succession of titles ...every week Maddison Wesche betters her previous best performance! Congratulations Maddy! At the Western Zone Athletics Maddy wowed the crowds (literally) as she competed in the Intermediate Girls Shot Put. She won with a put of 14.62m creating a new Auckland Secondary Schools record! This smashed the previous record of 14.26m which she created last year. Then it was on to the Greater Auckland Secondary Schools Athletics Championships and Maddy won the Intermediate Girls Shot Put convincingly, setting another new Auckland Secondary Schools record…..3 times! Her 2nd throw broke the record she set last year at the same meet, then her 3rd throw bettered her new record. On her 5th (and final) throw she again broke her record with a distance of 15.35m, which was 1.33m further than any other competitors in this event. At the Australian National Athletics Championships in Sydney 2 weeks ago Maddy won GOLD, making her the Australian U18 Women’s Shot Put champion. Next up was the NZ National Athletics Championships held in Wellington during a terrible storm. Maddy won gold in both the ‘Junior’ (U20) and ‘Youth’ (U18) age groups so now holds 2 New Zealand titles. b) Broke Valerie Vili’s record set in about 2000. The next step in Maddy's brilliant year is her preparation for the Junior World Champs in July. "Almost 200 applications for this event were received by and selecting the 50 successful delegates was not an easy task. However, Shahin really stood out. The Forum will take place in Rotorua from 11 - 17 April and we look forward to meeting Shahin then. This year, the selected delegates will join The Sir Peter Blake Trust and the Ministry for the Environment for an ‘urban expedition’ through Rotorua and the surrounding region, experiencing and learning about fresh water management, planning and eco-tourism. Delegates will also have opportunities to meet and engage with like-minded contemporaries, inspiring and informative speakers and experts - including Sir Peter Blake Trust alumni, local and national politicians, subject experts, business and community leaders. Following on from the success of the Young Blake Expedition to the Kermadecs in 2012 and the Young Blake Expedition to the Southern Ocean & Sub-Antarctic in 2014, delegates to the 2015 Youth EnviroLeaders' Forum may also be eligible for selection for future Young Blake Expeditions. Further information will be available later in the year. " What an honour for Shahin; we look forward to hearing more. As reported previously the Samoan student group has fundraised and practised to ensure a polished performance at Polyfest. They didn't disappoint on the day as these images show. We had a great day with four Year 13 students- Saagar Prasad, Erica D'Souza, Kavita Laxman and Raksha Tiwari - representing our school at the Aotea Centre. Auckland Transport put on a really good event with transport leaders and staff, police and staff acting as ambassadors. The day included a Metro Challenge where we competed in a quiz, a cycle challenge and a slogan /skit for Dangerous Driving in three separate venues around the city. This involved travelling by bus, train and foot. After lunch we had time to plan our TRAVELWISE Road Safety campaign for Lynfield College 2015 then had to go before the "Dragon's Den" panel of four to pitch our ideas. Thankfully we got the 'thumbs up" so can now apply for $200 of funding for our activities this year. However the highlight was getting a photo with one of the panel - Jerome Kaimo All Black and Blues player. Waterpolo - We are the Champions! The Lynfield Senior Water Polo team did the almost impossible on Sunday 22 March – they won the Senior B2 championship with an impressive 13-0 win against Waitakere College in their last game. The team have been undefeated this season winning all 8 games in style. The coach, Zoran Sinovcic, was thrilled with the effort of the players and pleased they worked together so well as a team to take out the championship. The next challenge for the teams is the North Island Championships which run for 4 days starting on Thursday 26 March. We wish the team all the best in this tournament. Congratulations to : Mario Sinovcic, Brecon Rose, Jatin Singh, Poppy Schubert, Shaneel Singh, Freya Rose, Cody Marsh, Nathan Varney, Maddy Poland, Nick Hayward, Jade Guptill, Josh Lamont, Dylan Kay. The Rainbow’s End trip is an annual event in the Physics Department calendar. This trip aligns with the teaching of the Mechanics standard, which generally has concepts involving linear, circular and simple harmonic motion. The students are expected to not only experience the physics in the various rides but also take relevant data that will be analysed back in school. This year, 69 Year 13 Physics students and 3 accompanying teachers went to the theme park. The students were divided into 3 groups and the majority of the first half of the day involved taking measurements, and recording data in their Rainbows End workbook, which was specifically designed around the majority of the rides. The second half of the day involved students going in as many rides as possible and experiencing the forces acting on them, and in some rides like bumper boats and dodgems, the reaction forces acting on their colleagues. The information gathered from the various rides would be incorporated in the teaching of the Mechanics standard. The weather was favourable and both the students and teachers had a great time. This is the third year that we have entered students in the regional rounds of the New Zealand Young Physicists’ tournament that took place at University of Auckland. The tournament started at 8.45 am and finished at 6 pm so a full day's mixture of stress and enjoyment. We had one Year 12 team and one Year 13 team competing against mainly Year 13 teams from 20 Auckland schools (Each school could enter a maximum of 2 teams). 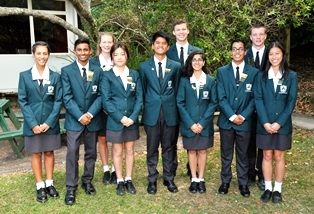 Year 13 team consisted of Pyong Kang Her, Raynil Laxmidas (captain), Pratik Chandra and Noel D’Souza while Year 12 members were Elysha Negi (captain), Joel Boasman and Simon Stanimiroff. Prior to the tournament, competing teams, consisting of 3 students each, are given 7 complex problems to theoretically and experimentally research. These questions are released in Term 4 of the previous year. At the competition the teams present and defend the validity of their solutions against teams in “Physics Fights”. Juries consisting of respected physicists and physics teachers rate their reports and the discussion that those reports generate. Each team is graded out of 10 points per judge, with 5 judges in total per fight. At the start of the tournament, our Year 12 students were a little anxious going into the first round of the “Physics fights”. However, once they overcame the initial fear and got used to the procedures involved, they gained valuable points in the remaining fights. Experience from the previous year enabled the Year 13 team to perform consistently in their “Physics fights”. Our Year 13 and Year 12 teams finished 6th and 14th overall, both one better than last year. 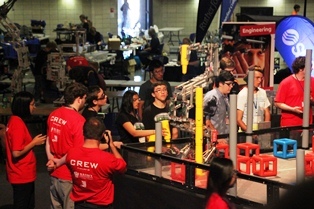 Both the teams must be praised for the long hours they spent in preparation for the competition. The depth of the research, both theoretical and experimental, that they undertook in preparation for the problems will linger in their memories for a very long time. Mr Reddy was the supervising teacher and Ms Vasile joined Mr Reddy on the day as judges. The teams are shown below..On the left they are a little pensive before the tournament, while the relief at the finish is evident in the image on the right! With this year's experience behind them, the Year 12 students have already started the discussion for next year’s tournament. These students will also be promoting this event to prospective Year 11 students. We are confident of having another good run next year. Following an initiative from principal Steve Bovaird, the Lynfield Samoan group returns to the ASB Polyfest stage after 35 years. Hundreds of parents and supporters packed out the school hall, to watch the schoo'ls Samoan group perform in preparation for this weekend’s Polyfest at the Manukau Sports Bowl. Former college pupils including X factor musician Matt Nanai, jazz singer Zion Faletolu and Tyree Lorraine set the night up, along with guest trio Pena, Ivan and Priscilla. Samoan fusion dance troupe Le Tatau, who are touring Germany and Canada in June sent the audience into a frenzy with an incredible 10 minute set of traditional and modern dance. Closing out the evening, the 55 strong Samoan group finale was met with a raucous reception through most of their 20 minute set. 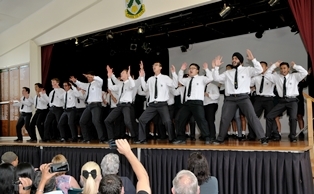 Head boy Andrew Sampson, who is one of the 14 male dancers and the only palagi in the group says the experience has been a lot more than he ever expected. “ Whenever I see a lot of the boys around school it’s like we are more than just friends now, it’s like family,” he says. Lynfield’s first ever entry in 1978, won the Samoan stage at the Festival, held at the then St Stephens collegiate in Bombay. says James Asiata one of the group leaders. The others are T.J Nivo, Ana Latu and Alex Falaniko. All the funds raised have gone towards helping with the uniform costs and the five tutors. From the moment we arrived good things started to happen. Food was served followed by Microsoft themed giveaways for some six lucky Lynfield students. They each received a laptop bag which easily converts to a back pack. After a few very talented university students spoke to us about their experiences with being part of the Microsoft Student Accelerator summer programme we headed down to the main hall for the finals of the Imagine Cup. Only 4 teams out of 35 made it to the finals and these 4 teams showcased the apps and software they have developed during their placements at leading IT Kiwi companies. We were treated to typical Microsoft hype. There were laser lights, the demonstrations of the latest Microsoft products on two enormous screens, and lots of noise. All members of the audience were given plastic clappers which further involved us in the buzz. The event was hosted by Dominic Bowden who brought a bit of X factor excitement to the event. Stephen Joyce, the Science and Innovation Minister, was there and gave a little speech. Heart - a cloud based service which monitors a patients’ heart activity and links it to their smart phone. aFOODable - an app lets people donate the right sort of food to charities. Lassie - an app that alerts your chosen friend when you fail to check in at an agreed time. Tether - an app that lets you search for someone to do casual jobs for you. Tether was the winner but the straw poll on the bus on the way home favoured Heart and Lassie!! It was an amazing experience and hopefully it inspired some of our students to take part in the programme when they are at university. The teachers were especially pleased to see many of their ex-students in the audience and one who was competing (his team made the final 9 but not make the top 4). Excellent Start to Junior Water Polo Season. A One Day Tournament at King’s College on 7th March saw our Sharks team win all three games with comfortable margins 9:4, 8:4 and 10:1. The most notable win was 8:4 against Kings 1 – the team that always competes in Division 1. (Their seniors always play premier division). The Orcas were not so lucky but they proved to be tough opposition scoring goals in every game they played. Their most notable result was a 6:3 loss to Glendowie which earned them the first point of the competition (a bonus point for a loss by three goals or less). 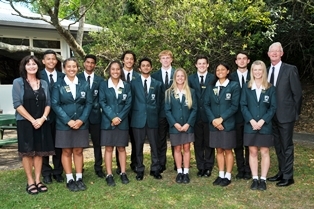 Lynfield Sharks – middle and back rows (white caps): Mario Sinovcic (coach), Kieron O’Halloran, Max Carter (goalie), Callum Bolton, Julia Rennie, Jackson Potauaine, Alex Marsh, Jessica Varney; back raw: Jamie Fowler and Taea Lambert. 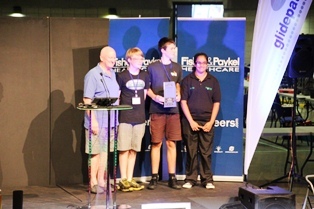 The past few years have been just magic for our Robotics enthusiasts and even though there are changes to the teams as students move on to tertiary study or elsewhere, the strength of the teams persists. 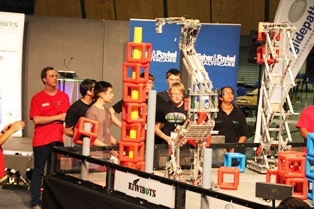 Last weekend Lynfield College had three robotics teams taking part in the National Championships held in Manukau. There were so many teams this year that they were split into two divisions. Lynfield’s three teams all made it to the division finals. The winning alliance of each division then played off in the grand-final. Lynfield couldn’t lose as we had a team in each alliance!. At the end of the day we had two division winners, National runners up and National Champions. Furthermore, Steven Barker also took the Skills trophy and the Amaze trophy. Congratulations! and now we look forward to another trip to the world championships in the United States later in the year. Please Do Write on the Desks! In some areas of the school there is no longer the chance of a detention should a student write on a desk. In fact students in Fashion and Design are encouraged to do that exact thing. New stainless tables have been built for the Fashion and Design room. These have been constructed so that students can stand at them for pattern drafting but the wheels allow them to easily be moved for group work. The stainless top also allows for students to brainstorm and present their ideas directly onto the tables. Year 9 students had a great time working collaboratively on their Gallipoli research for their class quilt. Year 13 students have some additional support for their many writing assignments this year. Dr Ian Hunter, the creator of Write that Essay, recently spoke to the year group about adding flair to their essays and reports. Dr Hunter also challenged a group of potential scholarship students to take a clear stand in their writing rather than waffling – a technical term, he insisted! In addition, teachers attended a session with Dr Hunter to look at their own writing styles and how to write with a range of sentence types. All Year 13 students have access to the Write that Essay web-based programme. While teachers can set specific assignments to complete, there are also activities for students to work through, specific sentence help, and guides for structuring different types of paragraphs. Feedback from the students, who are facing writing reports in subjects from Classics to PE to Biology, showed they were excited about the possibilities to learn different styles of writing and to have support right through the writing process. 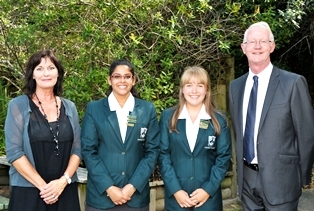 Potential Scholarship students Erica D’Souza and Nicholas Dobbie with Dr Ian Hunter. Recently 31 Year 9 students spent the day at the Liggins Institute. The staff at Liggins were impressed with our students' knowledge and the Ask a Scientist session saw them chatting with researchers about optometry, neuroscience and infectious diseases. They also learnt about some of the long term health effects of pre-natal nutrition. And then there was the hands-on component of the day. Students were able to take ECG readings of each other and monitor their heart rates. 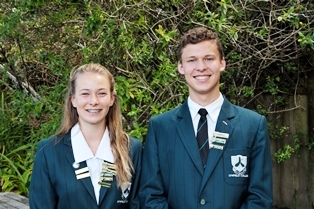 44 Scholarships were awarded to Lynfield College students in 2014 – this is a fantastic result and indicates the high achievement by this group of students. An “Outstanding Scholarship” is awarded to the top 0.3% in each subject. All the students who gained a scholarship are given a monetary award for their university study. The College is very proud of each student who gained one of these top academic awards and also recognises the work done by the teachers to prepare and tutor these achievers. One successful student (Shirley Xiao) was from Year 12. We were able to celebrate with most of the Scholarship winners when they gathered at school recently. Their achievements will be an inspiration to this year's students. The photo below shows the scholars at school recently. The statistics published by NZQA are used by the teachers and faculties within the school to analyse their teaching programmes and look for ways to enhance student achievement in subsequent assessments. This will ensure that achievement results continue to improve and that students leaving Lynfield College take with them qualifications that allow them to continue studying and to reach their potential. 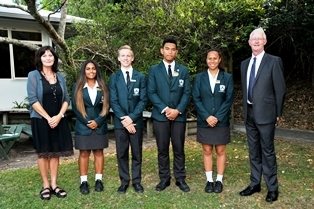 An Achievement Report including an analysis of NCEA results is presented to the Board of Trustees in April. Perfect weather + fun events + House rivalry + enthusiasm = a fantastic day for all. A rotation of 11 events (a mixture of track and field and tabloid) created a huge amount of fun and competition during the morning. The most noise and excitement was generated in the Obstacle Course as junior classes and senior houses tried to get as many participants successfully through the course in 7 minutes. The House Captains had worked extremely hard to involve all students in the presentation of their House Mascot. They really let their creativity flow as they came up with some amazing ideas, ranging from unicycle to saxophone, to impress the judges. This competition and Best Dressed House, were both judged by an independent panel of staff who did not find it at all simple to find clear winners! The sprint finals and relays (house and form class) were hotly contested and showed we certainly have talent at all levels in these track events. Congratulations to overall winners, Reid house who discovered participation was the key to success as the whole house ran, threw or jumped to the max. The Junior Debaters Love a Structured Argument! 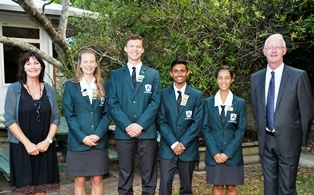 Three junior debating teams competed in their first round of the Auckland Schools' Debating Junior Open Competition on Monday 2nd March at Rutherford College. Lynfield 1 and Lynfield 3 put in an impressive performance to win their debates and took out the 1st and 3rd speakers for each of their debates. Round 1 was a prepared debate. with the moot being "That the government should not fund Team New Zealand’s America’s Cup challenge". All three teams were on the negating side of the moot. The teams look forward to their next debate...and a bit more time to practise before their next round in three weeks time! 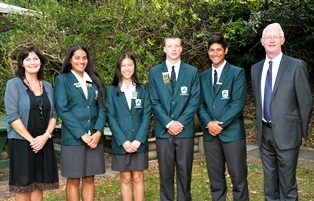 Junior Debating also has a team who will compete in the ASD Junior Premier Open, which starts next week - this is the team that was Junior Group of the Year for 2014...they kick off their season with the ASD Season Champs and will compete against Auckland's senior teams this Sunday in an all-day, round robin series of debates to get a bit of practice with the new format, including longer speaking times and taking points of information within the debate. This will get them ready for the Premier Open. We will watch that team with great interest! 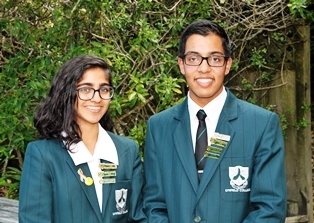 Abhinav Behal of Year 13 took part in the 2014 New Zealand Chemistry Olympiad Competition where he was awarded a Silver Award for excellent performance. From that competition he was selected to participate in the NZ Chemistry Olympiad training programme in 2015. He is doing the NZ Chemistry Olympiad camp selection test today Tuesday March 3rd. From this test only 28 students from Auckland schools will be selected to attend the camp on 6th – 11th April. From these students only four will be selected to attend the International Chemistry Olympiad in Azerbaijan from 20th – 29th July. We congratulate Abinav for participating and being awarded a Silver Award for his excellent performance so far. A Ping Pong Ball and a Rollercoaster..
Students in Year 10 Advanced Science are on a roll with their blended e-learning as demonstrated by their current Level.1 Mechanics topic. Students were challenged to build a roller coaster for a ping pong ball to travel on, and then..
they had to use their device to record the journey the ping pong ball took along the track, use stopwatches or their device to record the time it took the ball to reach different stages of the journey and then graph the data and use it to calculate the speed of the ball at different stages of the journey.
. 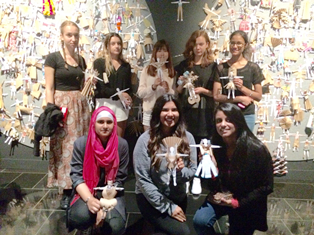 It was truly inspiring with a fun activity at the end for students to create their own paper doll wearable art that gets added to the wall in the exhibition. Many students have now expressed a desire to go see the show now held in Wellington. 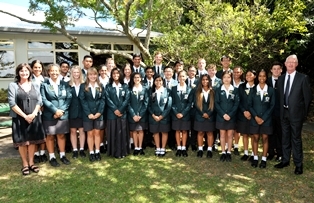 At a special assembly last Friday 27 February the members of the 2015 Student Leadership group received their badges of office in front of their peers, staff, family and friends. The images below taken during and after the ceremony are a wonderful record of the event. We wish all the leaders a very enjoyable and rewarding year; they all have our confidence and support.